Yang, B., Wang, Q., Jing, M., Guo, B., Wu, J., Wang, H., Wang, Y., Lin, L., Wang, Y., Ye, W., Dong, S. and Wang, Y. (2017). Distinct regions of the Phytophthora essential effector Avh238 determine its function in cell death activation and plant immunity suppression. New Phytol 214(1): 361-375. Ma, Z., Zhu, L., Song, T., Wang, Y., Zhang, Q., Xia, Y., Qiu, M., Lin, Y., Li, H., Kong, L., Fang, Y., Ye, W., Wang, Y., Dong, S., Zheng, X., Tyler, B. M. and Wang, Y. (2017). A paralogous decoy protects Phytophthora sojae apoplastic effector PsXEG1 from a host inhibitor. Science 355(6326): 710-714. Kong, L., Qiu, X., Kang, J., Wang, Y., Chen, H., Huang, J., Qiu, M., Zhao, Y., Kong, G., Ma, Z., Wang, Y., Ye, W., Dong, S., Ma, W. and Wang, Y. (2017). A Phytophthora Effector Manipulates Host Histone Acetylation and Reprograms Defense Gene Expression to Promote Infection. Curr Biol 27(7): 981-991. Huang, J., Gu, L., Zhang, Y., Yan, T., Kong, G., Kong, L., Guo, B., Qiu, M., Wang, Y., Jing, M., Xing, W., Ye, W., Wu, Z., Zhang, Z., Zheng, X., Gijzen, M., Wang, Y. and Dong, S. (2017). An oomycete plant pathogen reprograms host pre-mRNA splicing to subvert immunity. Nat Commun 8(1): 2051. Zhang, X., Zhai, C., Hua, C., Qiu, M., Hao, Y., Nie, P., Ye, W. and Wang, Y. (2016). PsHint1, associated with the G-protein alpha subunit PsGPA1, is required for the chemotaxis and pathogenicity of Phytophthora sojae. Mol Plant Pathol 17(2): 272-285. Ye, W., Wang, Y., Shen, D., Li, D., Pu, T., Jiang, Z., Zhang, Z., Zheng, X., Tyler, B. M. and Wang, Y. (2016). Sequencing of the Litchi Downy Blight Pathogen Reveals It Is a Phytophthora Species With Downy Mildew-Like Characteristics. Mol Plant Microbe Interact 29(7): 573-583. Song, T., Ma, Z., Shen, D., Li, Q., Li, W., Su, L., Ye, T., Zhang, M., Wang, Y. and Dou, D. (2016). An Oomycete CRN Effector Reprograms Expression of Plant HSP Genes by Targeting their Promoters. PLOS Pathogens 11(12): e1005348. Jing, M., Guo, B., Li, H., Yang, B., Wang, H., Kong, G., Zhao, Y., Xu, H., Wang, Y., Ye, W., Dong, S., Qiao, Y., Tyler, B. M., Ma, W. and Wang, Y. (2016). A Phytophthora sojae effector suppresses endoplasmic reticulum stress-mediated immunity by stabilizing plant Binding immunoglobulin Proteins. Nat Commun 7: 11685. Dong, S. and Wang, Y. (2016). Nudix Effectors: A Common Weapon in the Arsenal of Plant Pathogens. PLoS Pathog 12(8): e1005704. Sheng, Y., Wang, Y., Meijer, H. J., Yang, X., Hua, C., Ye, W., Tao, K., Liu, X., Govers, F. and Wang, Y. (2015). The heat shock transcription factor PsHSF1 of Phytophthora sojae is required for oxidative stress tolerance and detoxifying the plant oxidative burst. Environ Microbiol 17(4): 1351-1364. Kong, G., Zhao, Y., Jing, M., Huang, J., Yang, J., Xia, Y., Kong, L., Ye, W., Xiong, Q., Qiao, Y., Dong, S., Ma, W. and Wang, Y. (2015). The Activation of Phytophthora Effector Avr3b by Plant Cyclophilin is Required for the Nudix Hydrolase Activity of Avr3b. PLoS Pathog 11(8): e1005139. Dong, Y., Li, Y., Zhao, M., Jing, M., Liu, X., Liu, M., Guo, X., Zhang, X., Chen, Y., Liu, Y., Liu, Y., Ye, W., Zhang, H., Wang, Y., Zheng, X., Wang, P. and Zhang, Z. (2015). Global genome and transcriptome analyses of Magnaporthe oryzae epidemic isolate 98-06 uncover novel effectors and pathogenicity-related genes, revealing gene gain and lose dynamics in genome evolution. PLoS Pathog 11(4): e1004801. Xiong, Q., Ye, W., Choi, D., Wong, J., Qiao, Y., Tao, K., Wang, Y. and Ma, W. (2014). Phytophthora suppressor of RNA silencing 2 is a conserved RxLR effector that promotes infection in soybean and Arabidopsis thaliana. Mol Plant Microbe Interact 27(12): 1379-1389. Wong, J., Gao, L., Yang, Y., Zhai, J., Arikit, S., Yu, Y., Duan, S., Chan, V., Xiong, Q., Yan, J., Li, S., Liu, R., Wang, Y., Tang, G., Meyers, B. C., Chen, X. and Ma, W. (2014). Roles of small RNAs in soybean defense against Phytophthora sojae infection. Plant J 79(6): 928-940. Yin, W., Dong, S., Zhai, L., Lin, Y., Zheng, X. and Wang, Y. (2013). The Phytophthora sojae Avr1d gene encodes an RxLR-dEER effector with presence and absence polymorphisms among pathogen strains. Mol Plant Microbe Interact 26(8): 958-968. Yang, X., Zhao, W., Hua, C., Zheng, X., Jing, M., Li, D., Govers, F., Meijer, H. J. and Wang, Y. (2013). Chemotaxis and oospore formation in Phytophthora sojae are controlled by G-protein-coupled receptors with a phosphatidylinositol phosphate kinase domain. Mol Microbiol 88(2): 382-394. 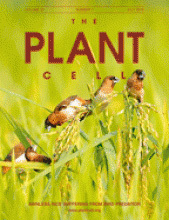 Song, T., Kale, S. D., Arredondo, F. D., Shen, D., Su, L., Liu, L., Wu, Y., Wang, Y., Dou, D. and Tyler, B. M. (2013). Two RxLR avirulence genes in Phytophthora sojae determine soybean Rps1k-mediated disease resistance. Mol Plant Microbe Interact 26(7): 711-720. Lu, S., Chen, L., Tao, K., Sun, N., Wu, Y., Lu, X., Wang, Y. and Dou, D. (2013). Intracellular and extracellular phosphatidylinositol 3-phosphate produced by Phytophthora species is important for infection. Mol Plant 6(5): 1592-1604. Hua, C., Meijer, H. J., de Keijzer, J., Zhao, W., Wang, Y. and Govers, F. (2013). GK4, a G-protein-coupled receptor with a phosphatidylinositol phosphate kinase domain in Phytophthora infestans, is involved in sporangia development and virulence. Mol Microbiol 88(2): 352-370. Yu, X., Tang, J., Wang, Q., Ye, W., Tao, K., Duan, S., Lu, C., Yang, X., Dong, S., Zheng, X. and Wang, Y. (2012). The RxLR effector Avh241 from Phytophthora sojae requires plasma membrane localization to induce plant cell death. New Phytol 196(1): 247-260. Dong, S., Kong, G., Qutob, D., Yu, X., Tang, J., Kang, J., Dai, T., Wang, H., Gijzen, M. and Wang, Y. (2012). The NLP toxin family in Phytophthora sojae includes rapidly evolving groups that lack necrosis-inducing activity. Mol Plant Microbe Interact 25(7): 896-909.